Sottocasa is a little underground hole-in-the-wall pizza place in Brooklyn. They make some amazing pizza, and are priced within the thresholds of Philly Phoodie's strict guidelines that fluctuate according to my whims. 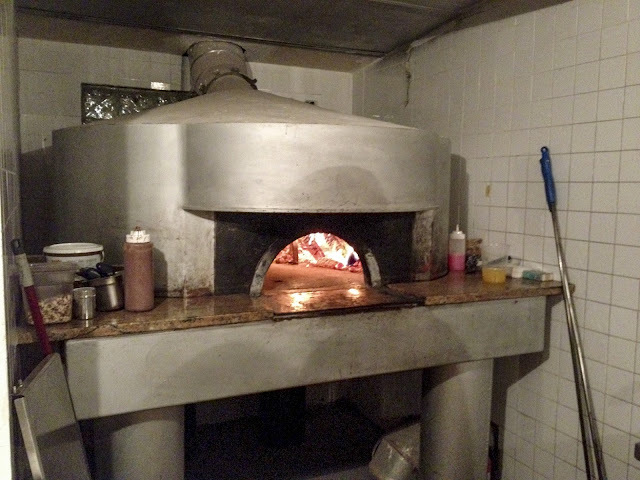 The oven was pretty amazing, with a hot wood fire, and what I imagine is proper ventilation. 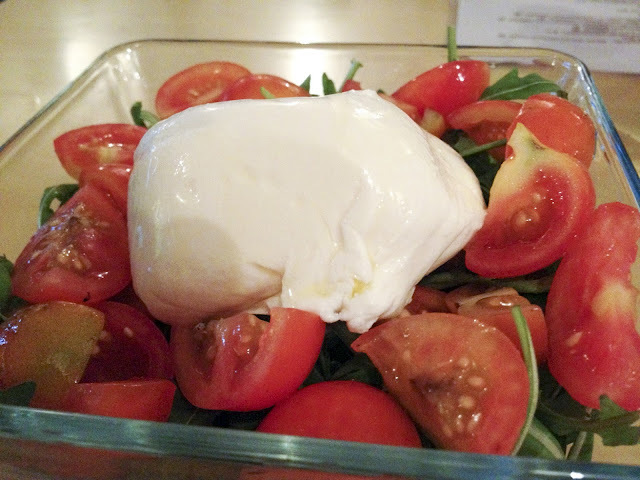 I started with the special burrata appetizer, an Italian specialty. The blend of mozzarella shell with cream and mozzarella inside gets me every time. 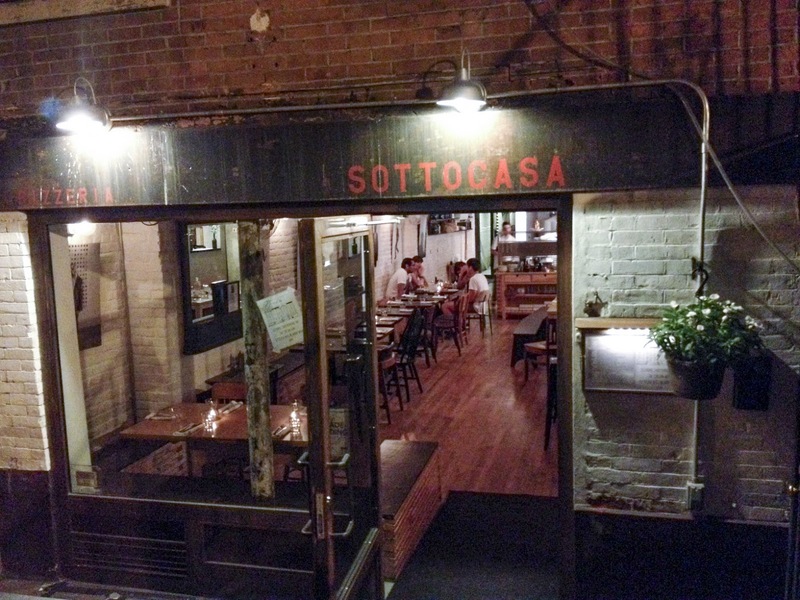 It was served simply over some quartered cherry tomatoes and arugula. 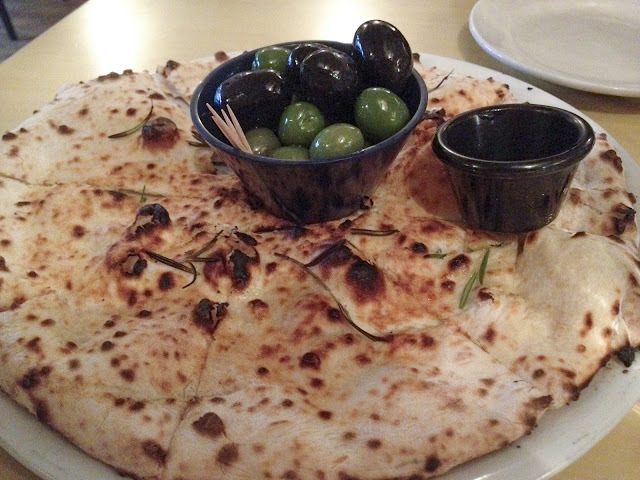 I also had to try the olives with pizza bread. The bread had olive oil, sea salt, and fresh rosemary. It was fantastic. And a perfect precursor to the the pizza to come. The margarita was an exercise in simplicity. 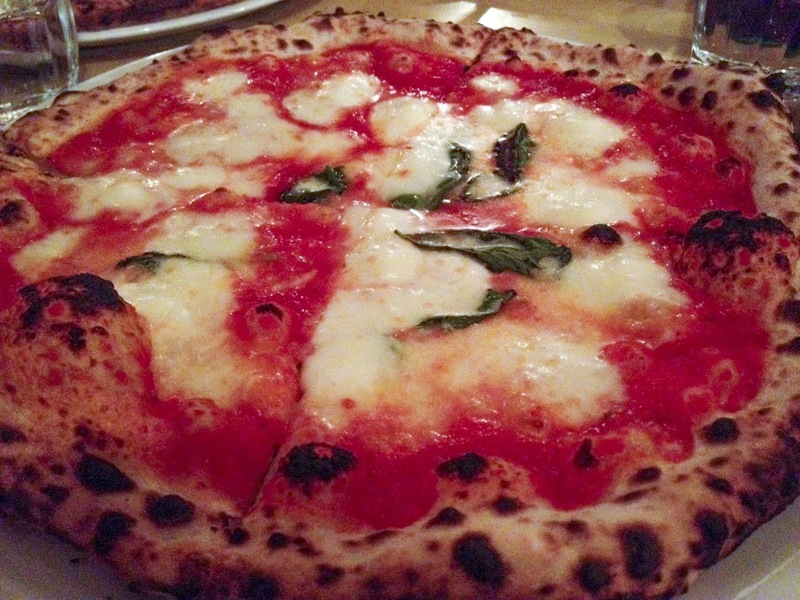 Sweet tomato sauce, fresh mozzarella, and fresh basil worked together in an extremely pleasant manner, with the pock marked charring of the dough creating a crunchy yet tender vessel for delivery. 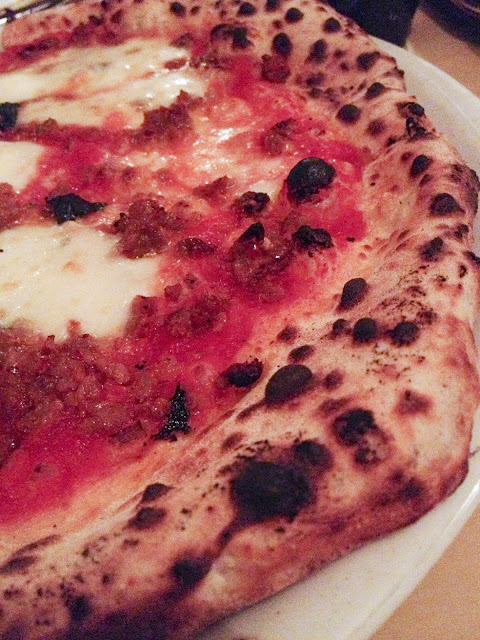 I also tried that same pizza with a spicy sausage addition that was just fantastic. The sausage elevated this pizza to amazing heights. I really like the margarita, but I LOVED the spicy sausage. Again, nothing was over the top, it was just perfectly executed. Without a doubt, some of the best pizza I have had. The crumbled, spicy meat pieces were not overly greasy, and they added the perfect kick to an already great pie. 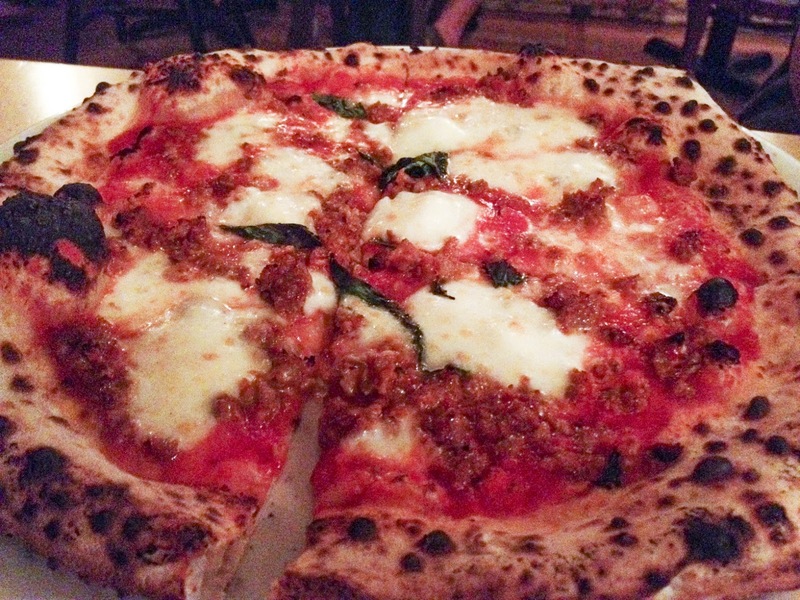 If you find yourself in Brooklyn and craving a thin, crispy, fresh pie, this is the spot. A little bit closer to home, Pizzeria Dimeo's is a gem of a spot tucked away in the Andorra shopping center… Everything I've ever had there- pure simple food- just amazing.. You gotta check it out!